Welcome to Week #6 of The 52 Week Money Saving Challenge. This week we save six dollars. How is everyone doing? Like I said last week, there is STILL time to jump in and join the Challenge. 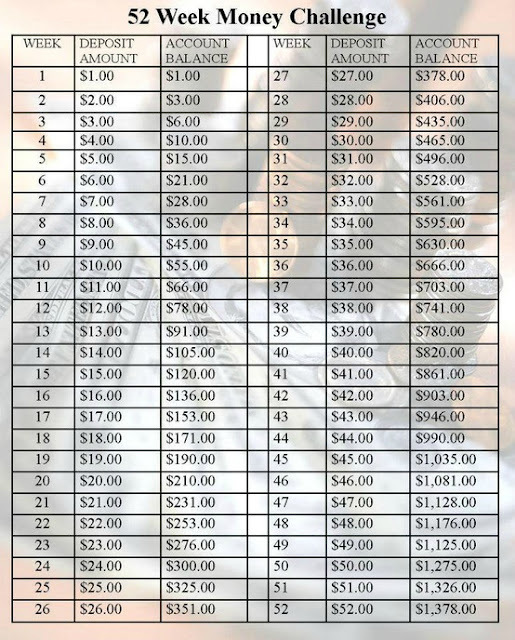 Our grand total savings to date is twenty-one dollars. That is what you will need to catch up with the rest of us. You can do it!! I am starting to enjoy thinking about how much money I'm saving this year. It is a big change for me. I am accustomed to enjoy thinking about money in terms of how much I can SPEND instead of how much I can save. How about you? I believe this is a good attitude adjustment. We started with one dollar, and now we have twenty-one times that amount in only six weeks. By small and simple means, we can do great things! 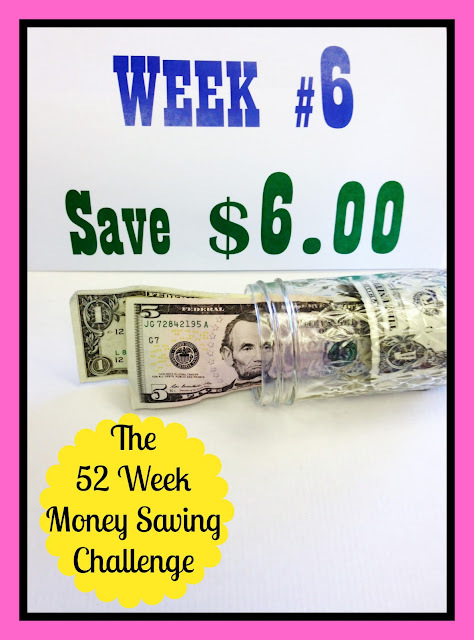 For a free printable chart, check out Stuck at Home Mom's 52 Week Money Saving Challenge. Happy saving! I don't really pay attention to how much we've saved, but I focus on cutting back in various areas such as eating out. We are planning a little trip next month and I'd rather have money for that then a dinner out now. Thanks for sharing this at my Pin Me Linky Party.